Frogs are common throughout the world. There are over 85 species here in the United States. The most common species include tree frogs, toads and bullfrogs. Tree frogs and bullfrogs are most common where there is adequate water for their survival and reproduction. Toads are more prevalent where it is dry. Though tree frogs are considered beneficial because they eat insects, in some cases local populations can become a nuisance. Toads can become a problem for a few reasons. Though toads can withstand dry, arid conditions, they will flock to areas where moisture is present. Mostly seeking food in these lush environments, toads will be seen foraging at night seeking insects and other creatures of the dark. One or two toads on the property can go unnoticed. But in many cases, this is the just the beginning. Once migratory trails are in place, yards can become full of toads following their instinct to migrate where others have gone before. When this happens, they’ll become a major nuisance. During the day common toads will typically nestle down in the turf, pine straw and ground cover out of sight. When local environments aren’t providing enough food or adequate moisture, they’ll start massive migrations. These migrations will many times lead to the lush, moisture rich property of any well kept yard. Thick grass can provide a safe haven for them to rest during the day and at night, a plethora of insects will become their food. Once they gain a foothold in the yard, you’ll start to notice the mess and in some cases, their stink. This pungent odor can be a result of their droppings or their scent glands. Used to mark territories and attract more to the area, many people are allergic to this smell and common reactions include itchy skin, hives and red or irritated eyes. And there are a range of toads active in the United Stated. In general, most are harmless. But the Cane Toad has toxins which can be lethal to wildlife, pets and even people. Known as bufotoxins, this powerful class 1 chemical can cause hallucinations in small doses but if the frog is eaten, serious poisoning can result. For this reason, Cane toads pose a real risk in residential areas. This will be more for the pets – especially dogs – but cats have been found poisoned by this toad too. 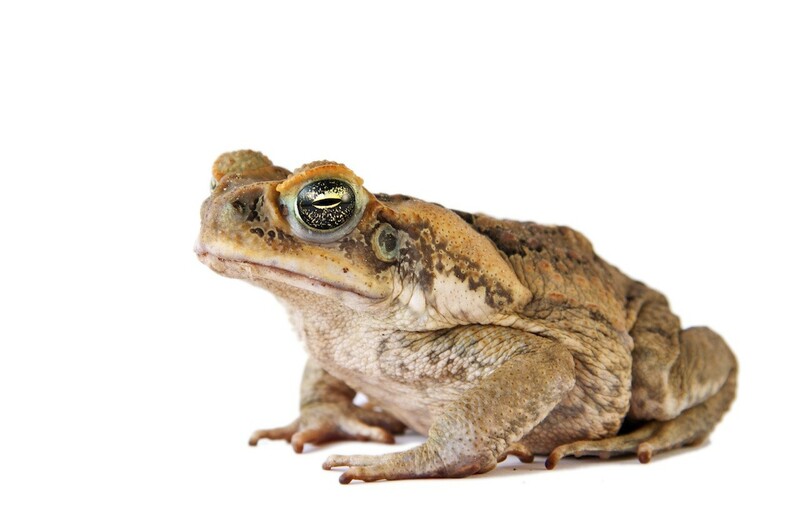 The rule here is simple; if you have a pet that likes to “hunt” small creatures like lizards, snakes or birds, the Cane Toad may become their next target. Unfortunately, it could turn out to be their last so make sure you take preventive measures to keep this toad out of the yard if you have pets. In recent years, Cane toads have been reported in Florida and Texas. They’re quite large and easy to spot so if you’re in a region where they’re known to be active, do not handle any large toad. And if you know they’re around your neighborhood, consider installing some screening and treatments to make sure they don’t want to come on your property. The first way to help keep away toads is to install SCREENING. This is a heavy gauge poly “diamond” pattern plastic which is strong enough to use as a fence. 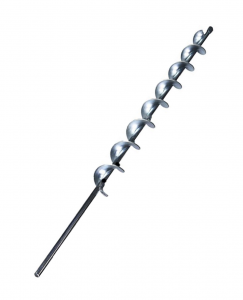 Its ideal for use along the base of cyclone or stockaded fences. Add this to the bottom base with at least 6″ down in the ground and 18″ up. This will keep them from burrowing in or passing through the larger fence openings. This screening is strong enough to be set up as an independent fence. Make sure it’s at least 24 inches tall and 6 inches in the ground. Install it around any pond or body of water you want to keep toad free; its strong enough to keep out snakes and lizards too. The second thing to do is apply PEST RID GRANULES along property borders, points of entry to your yard and where the toads like to roost or nest. 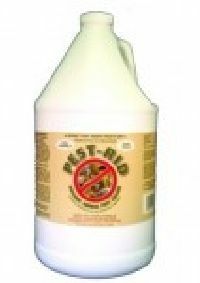 Pest Rid Granules are made with natural ingredients and release odors animals and reptiles don’t like. Toads will stay away from areas where Pest Rid is applied and treatments can last a month or two. Pest Rid Granules won’t hurt plants or people and 1 lb will cover up to 250 sq/feet or 250 linear feet. Designed to “absorb” the liquid Pest Rid spray (listed below), you will need to use the granules in conjunction with the spray to get the best results. Basically when sprayed with the liquid Pest Rid, the granules will become “super charged” and in turn, last 30+ days at a higher strength and with toads, this is many times needed. The third thing needed is to spray over the top of the granules with PEST RID SPRAY. This is another “food grade” product that’s safe for use in the yard and home. 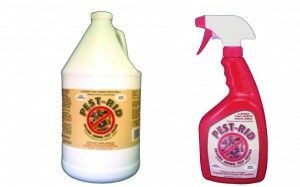 Pest Rid works best on toads when combined with Pest Rid Granules and can be used as often as is needed by spraying over the granules and on surfaces like window sills, deck railing and basically any where toads like to rest. In most cases you will see immediate results with toads migrating away within 24-48 hours of the treatment. Once they’re gone, followup by using both every 30-60 days to keep them away for good. 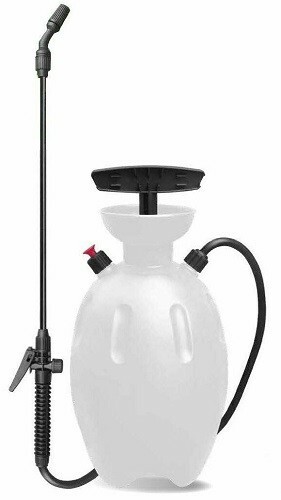 The smaller quart size of PEST RID comes with a spray nozzle as seen above (the red jug). But the gallon size will require a good pump sprayer to apply. Our ELIMINATOR PUMP SPRAYER is ideal for the job; its both easy to use and works well. 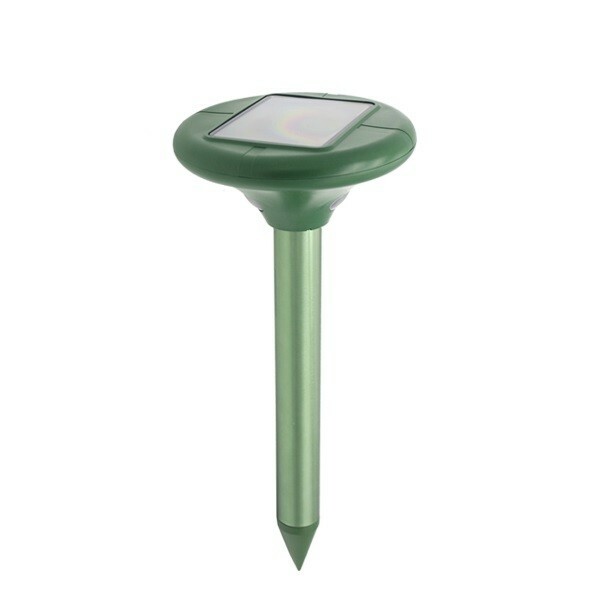 If you’re looking for a more “permanent” repellent, install SOLAR POWERED GROUND STAKE REPELLERS along property borders where toads are known to enter. Our repeller is one of kind with several features all working together to make irritate invasive pests like snakes, lizards and frogs. Our design uses the sun to charge an on board battery so the device runs on its own, around the clock. The main way it works is by releasing a vibration that will both move the ground and create a sound wave small rodents, frogs and snakes don’t like. It will vibrate several times a minute constantly rotating its cycle. But it also sends out an audible sound. In general, this sound won’t be detectable by people but frogs do not like it and will avoid areas where the sound is active. In addition to the vibration and audible and sound being released, our design also uses two LED bulbs located on underside of controller head. These light up at night showing as two subtle “eyes” when its dark. This makes the units look “evil”. Small animals like toads that naturally forage on the ground will look up and see these discreet lights and become frightened. This happens because they perceive the eyes to be coming from a predator. Combined this with the ultra sound, the vibration and the audible sound and you can effectively keep foraging toads out of the yard for good. For protected areas around the home like garages, front porches, patio’s, window ledges, decks, stoops, basements and other areas where toads like to roost or nest, set out some TOAD TRAPS. These basically glue traps used for insects but they contain special pheromones toads are naturally attracted to and in many cases, they’ll enter looking for “food”. But once they enter, they’ll get caught on the glue. Traps will not “control” a local problem so you should first spray with Pest Rid listed above. But for added protection and monitoring of the local problem, they can be helpful. Especially for use in the home or other “inside” locations where trapped frogs will be eager to find something to eat. My dog just licked a toad and collapsed and I had to rush her to the emergency room. I live in Southern Florida so we have Bufo toads. Not good. My dog is eight lbs so it hit her fast. Thank you for the information. I am going to try what you suggested. I live in Ontario Canada, and pretty much the same thing happened to my JRT when she was about 8 months old and about 10-12 pounds. 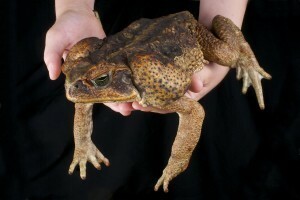 But we don’t have poisonous toads here, and the vet has never seen this before so they were shocked. Even the University of Guelph (one of, if not the top veterinary schools in Canada), had never seen or heard of this before, not in this area. The only thing I can think of is that it was a very big toad and she was so little. She had blood coming out both ends and went into shock. The vet didn’t think she would make it through the night but after 4 or 5 nights at the vets and a VERY expensive bill, she pulled through. Thankfully! I hope we have this product in Canada. Glad to hear everything worked out. We know of similar instances so obviously there is some kind of reaction that animals can have to toads and it’s not all crystal clear why. As for the products we have listed above; I don’t think you’ll be able to find them in Canada so if that turns out the be the case, consider ordering from us since we can ship most of the products listed abroad. Please advise how Pet Rid Granules and Pet Rid Spray affect small dogs ( under 10 lbs)…… I have 2 miniature dachshunds, one of them has mouthed a toad on two occasions and gotten very ill. They are like babies…everything goes into their mouths. So, how does this product affect puppies? It doesn’t. In other words, the Pest Rid line won’t affect animals that ingest it. And that’s because it’s made from very safe ingredients like garlic and cinnamon oil. In fact, if you read the information we have posted online for these products, you’ll learn they fall into a group of products which are called “exempt”. The exemption these products enjoy is based on the fact that they are so safe, the federal government doesn’t require them to get an EPA registration number. In order to get such a number, products must undergo rigorous testing to insure the safe welfare of the environment, people and pets. But since the Pest Rid uses food grade actives, this testing is not needed since it’s already known to be safe for such use. In the end, it’s important to understand that the Pest Rid acts as a repellent because it’s using food grade ingredients which many insects and animals don’t like. And when these animals get around the spray or granules, they’ll avoid the area once they get a taste of it. But this also means Pest Rid won’t harm pets, people or even the target insect or animal unlike traditional sprays or poisons. So in the end, it’s the best option where beneficial animals like pets are likely to ingest or come in contact with the treated area because even if they do touch it or ingest some, nothing bad will happen and in most cases, they too will learn it’s not good and they’ll probably end up avoiding it like the toads. My problem is with the tadpoles that eat my water lily collection. Frog tadpoles can be controlled by fish. But the fish will not eat Toad tadpoles. The amount of leaf that a few tadpoles can consume in one night is amazing. Do either of these products control the tadpoles? Can they be added to the water in the pond?? There are no chemicals available to control the tadpole stage of frogs because it would be too harsh to the local ecosystem. In fact, there are no products that actually “control” even the adult frogs because they would be too strong and hazardous. So what you’ll find listed above are just repellents and not a true “control” mechanism. That being said, the use of repellents is highly effective for frog control. Here’s why. Most frogs need water for their young to survive. When products like the Pest Rid Granules and Pest Rid Spray are applied around ponds, the treatment will keep away adult frogs who are naturally attracted to water. And by keeping the adult frogs away, you’ll be keeping eggs out of your water which in turn will prevent tadpoles. So in your situation, to get rid of the tadpoles, you actually need to start taking a proactive stance against the adult frogs. Remember, the tadpoles will soon grow up and leave. And if you start treating to repel the adults, no new eggs will be laid in your water so when the current crop of tadpoles leaves, you won’t have any more around to eat your plants. I’ve been fighting toads with my little guy for about 4 years. He weighs at most about 5 lb’s and we’ve had about 4 incidences so far. I panic each time and he’s been rushed to emergency twice. I am at my wits end as of what to do about this. I had read online that snake-a-way might work so I’ve been applying it every 2 months for over a year. Newsflash: it does not work. So I’m going to try this Pest Rid. I can’t risk losing my little man. We’ve been hearing nothing but great results using Pest Rid Granules and Spray as explained above. Be sure to apply both. Start with the granules over the area followed by the spray and I’m sure you’ll see positive results too. HELP!!!! My terrier mix at 57 lbs passed away with no warning! I have 2 lil lil guys and 1 BIG man left. Just realized when I looked out into my yard that the whole yard was moving!! I have adult and baby toads by the hundreds!! PLEASE HELP!!!! I have grand kids that play out there. My yard is now OFF limits. Again…. PLEASE HELP!!! If you review the article above, you’ll see what options are available to both repel and keep away toads. One of the best things you can is to install the netting we have listed. Toads can’t get through it and when put in place along property borderlines, netting will keep them out. In fact toads will commonly enter yards under fences so where you can, get netting in place to keep them out. Next, sprinkle Pest Rid Granules along these same borders. Toads don’t like Pest Rid and will avoid where it’s been applied. You may need to apply in the yard too since you say the yard is currently infested. In fact, you may want to apply the Pest Rid granules first and wait till it chases the toads away before you install any netting. This way the toads won’t be trapped in the yard and will be able to leave. Lastly, spray Pest Rid liquid over the top of the granules. This can be used along the property borders, in the yard etc. Toads hate Pest Rid and will avoid where it’s been applied. And since Pest Rid is made with food grade actives, its harmless to people and pets so it won’t be a hazard to you, your family or your pets. Once the Pest Rid has been applied, expect to see the toads move away from the treatment in 2-3 days. In general, applications will last 2-4 weeks during rainy times and 4-6 weeks when its dry. How do you apply pest rid granules to the yard? By hand or by a lawn fertilizer spreader? Also with the spray is it washed away with rain or a sprinkler system? As for the impact of rain; it doesn’t much matter. When you do a proper treatment (which includes the granules being applied first following by the liquid sprayed over the top of the granules), the odor and scent of the Pest Rid will be “locked” into the granules and tends to stay in place for 30-60 days. Over the course of this time, it will slowly release whether it rains or not. And any scent water might impact won’t move far nor will it be significant unless you had non-stop rain for 3+ weeks. If that happens then you’d need to retreat by the 4th week but normal rainfall won’t hurt the application. If anything, it will keep it “fresh” since moisture is needed to keep the scent volatile. Does this product have a negative affect on goldfish or koi in the pond? The toads are in the pond plants and I’m afraid of harming the fish while trying to eliminate or repel the toads and tadpoles. We have five dogs and I want to keep the toads away for the dogs safety but also because their mating call is a very loud and constant whistle so loud it sounds like they are in the house. All. Night. Long! The active in these formulations are made from food grade oils so they won’t hurt wild or aquatic life. That being said, treating the water won’t help. Ideally the way to use it in a small pond is to first, physically remove as many toads as you can. Second surround the pond by placing granules out and then spraying the granules with the liquid spray. Next, make placements along points of entry where they might be entering your land.